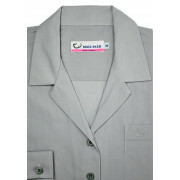 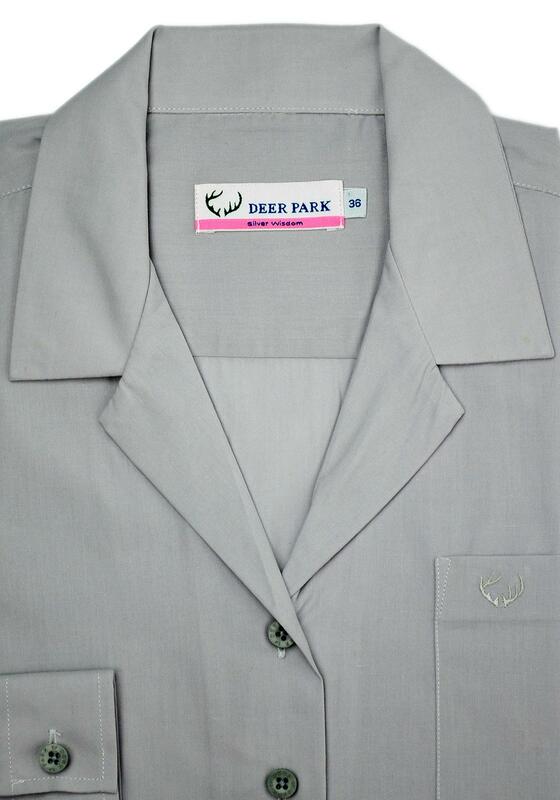 Silver-grey long sleeve school uniform blouse with revere collar from Deer Park. 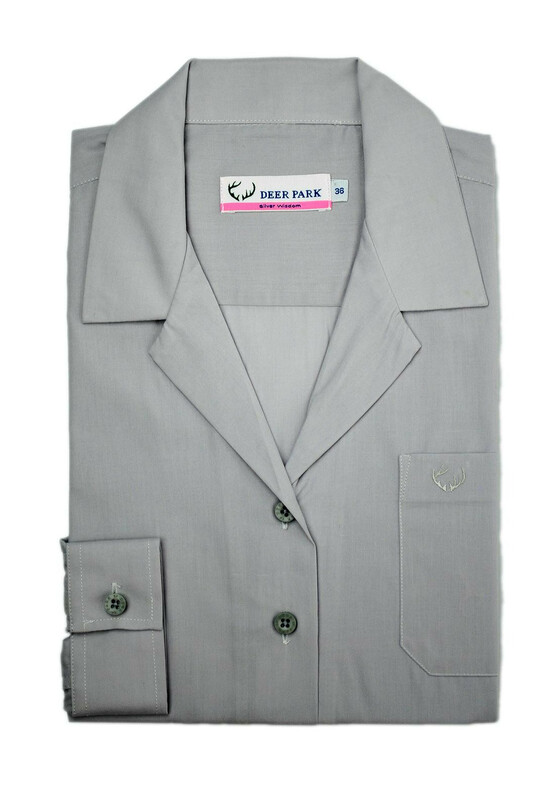 This schoolwear staple is easy care and easy iron, has a practical single breast pocket design, reinforced seams and buttons for longer durability and has space to write pupils Name & Class on wash care label. 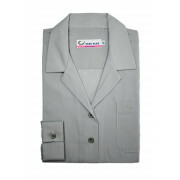 For a true fit our instore uniform specialists recommend you visit the store for fitting.